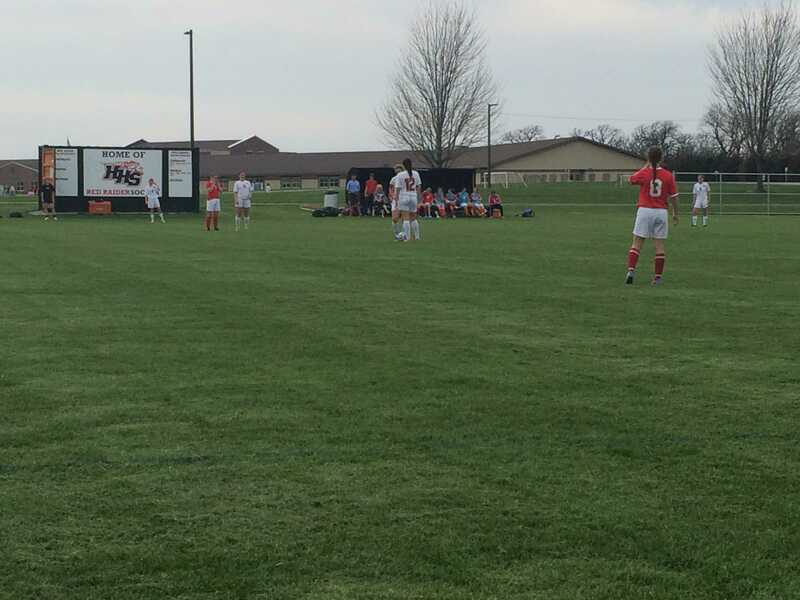 The Huntley Red Raiders’ girls soccer team defeated the Marian Central Hurricanes 3-1 in Monday’s match, improving the Raiders’ record to 9-2-1 overall. On the warmest day of 2016, the Raiders showed no sign of cooling down from their impressive PepsiCo Showdown performance over the last two weeks. Four games in the span of one week, however, tired the team’s legs and was visible throughout the entire match. The first ten minutes were dominated by Huntley, both on the ground and in the air. Junior Lauren Talesky had an opportunity to put the Raiders on top early after Marian’s defense turned possession over on their own 18 yard line, but missed an open net wide right. 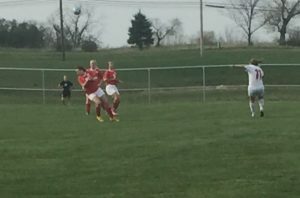 Despite the Raiders’ promising start, the Hurricanes capitalized on their first opportunity as junior Karlie Blaz finished the ball in the lower right corner. “We should’ve never gotten ourselves in that position,” said Raiders coach Kris Grabner. Senior Taryn Jakubowski crosses the ball during the first half. The Red Raiders beat the Hurricanes 3-1. 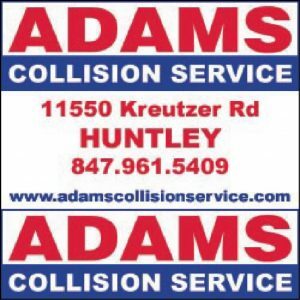 Huntley began to increase their energy, leading to senior Alyssa Kaufman’s game-tying goal in the 14th minute. With the game tied, senior standout Taryn Jakubowski took control of the game. The Creighton-bound forward was a force on defense, as well as offense, showcasing her skill and control despite her tiny stature. Jakubowski was subject to much physicality, taking cleats to both ankles and elbows into her back. The Raiders expanded upon their lead near the 24th minute to go up 2-1 on a goal by Yulissa Solis, a senior signed to play at Judson University next season. Renkosik was rock solid, punching Marian forward Erika Dacanay’s right foot laser over the crossbar. Fatigue, however, dominated the play of the Raiders. Their lack of possession and lack of energy contributed to what Grabner called “a let down” after going up 2-1. 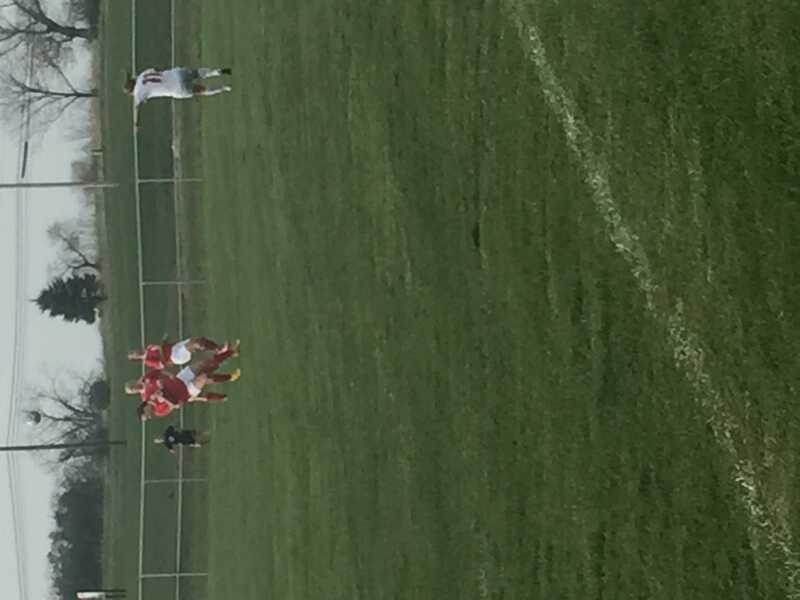 Jakubowski drew a penalty kick at the 65th minute on a slide by Marian defender Alyssa Sutherland, which she in turn buried in the back of the net. The Raiders now led the Hurricanes 3-1. With another match coming up on Thursday against Woodstock North, Grabner hopes a day off on Tuesday will give his team the rest they need in order to continue their hot streak entering the second half of their season.